For the second time this year, an Edmonton animal welfare agency is facing charges under the Animal Protection Act. CTV News has obtained documents describing non-criminal charges laid by the Alberta SPCA against the City of Edmonton, the director of the Animal Care and Control Centre (ACCC), and a variety of others. The documents, dated Oct. 5, 2018, detail charges laid against the City of Edmonton, Animal Care and Control director Ron Gabruck, vet technician Amy Buijze, and ACCC employees Jessica Stern and Maya Dery. The charges stem from an incident that took place on May 18, 2018. 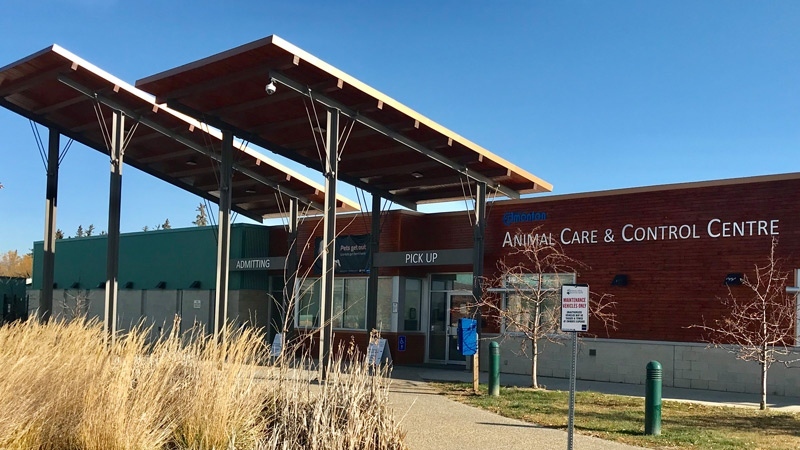 The SPCA said it received a complaint in July 2018 that three cats in the care of the City of Edmonton’s Animal Care and Control Centre had suffered distress and died. The City, Gabruck, Buijze, Stern and Dery, are all facing charges of allowing an animal to be in distress. The City of Edmonton said Thursday that the animals that died had been transferred under a feral cat pilot program from the ACCC to another city facility just before they died. In March 2018, the feral cat pilot program was launched. It was meant to provide feral cats brought into the ACCC with homes. The animals were spayed or neutered and medically cleared for release, and then transferred from the ACCC to city facilities with warehouses or storage yards. There, the cats would be given food, water and shelter and can live out their lives while also helping to control rodent populations in the area. In the first three months, the program found homes for 33 cats. Aitken said two of the cats were found dead at the location, and the third died within a day. Since the deaths of the three cats, the feral cat program has been suspended and the deaths reported to the Edmonton Humane Society, and conducted an internal review. The matter was then referred to the Alberta SPCA for an investigation. The City said Edmonton has about 65,000 feral cats, most live outdoors and have little or no human contact. About 800 of these cats are brought into the ACCC each year, but the city said many of them end up being euthanized as they can’t be easily adopted. “We still think the pilot has a lot of merit, but we want to ensure that before we go forward that the processes are in place, that staff are fully trained, that we’re aware of things that can go sideways and prevent that from happening again,” Aitken said. The accused are scheduled to appear in court on Dec. 12. About a month before that incident, three cats were discovered abandoned in an Edmonton Humane Society van, after spending close to three weeks without food or water. On March 27, the three cats were brought to the shelter in an EHS van, but were overlooked. The animals weren’t discovered in the vehicle until April 18 – EHS said they were dehydrated, hungry and had minor urine burns on their paws, but otherwise suffered no major injuries and had since been adopted. In that case, EHS employee Mariah Berini has been charged with causing or permitting an animal to be in distress and failing to provide adequate food and water to animals. Peter Sankoff, a law professor at the University of Alberta told CTV News he was surprised to hear about this second case. “It’s very disturbing to see that animal care agencies that are responsible for making sure that our animals are not harmed are themselves now subjects of allegations for having caused harm,” Sankoff said. Sankoff said while the incident itself is concerning, he wondered why details on the incident were not released earlier.